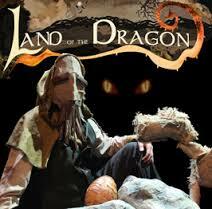 Having a personal interest in the bardic literature of the Welsh (I have translated Y Gododdin) I was delighted to take my seat in the Scottish Storytelling Centre’s lovely wee theatre for Land of the Dragon (gwlad y ddraig) by award-winning puppeteers, PuppetSoup, of Wales. This magical show mixes the most marvellous gothic puppetry with the Mabinogion, a collection of tales first collated in the 11th century, a time-capsule of much earlier material stretching back to the age of King Arthur (6th century AD). 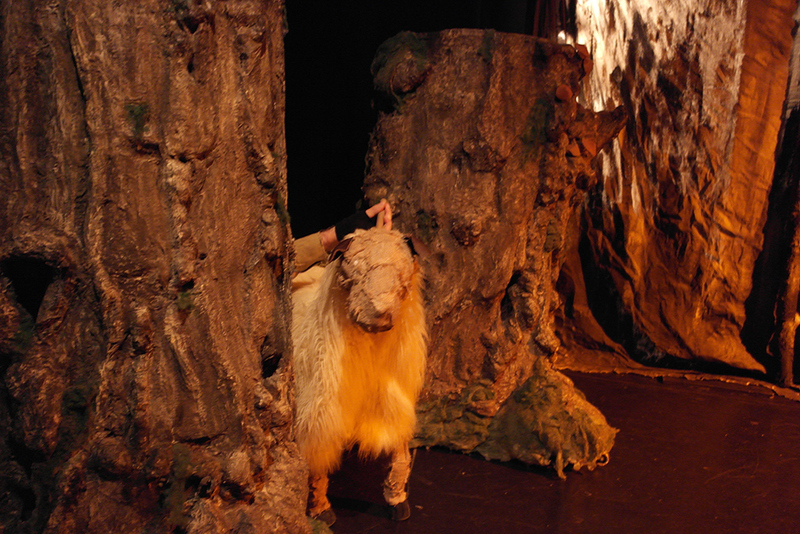 On entering the theatre we are meet with a bleeting sheep, so realistic that it drew a child from his seat to gently stroke its fleece. Behind was a stage of keenly made grotesquerie, a fine backdrop for these tales hewn from the ancient Bardic tradition. Taliesin himself turns up, as the infant babe of the sorceress Ceridwen, controlled by two puppeteers in order to extend her supernatural presence, especially when she jousted with a dragon. The major story of the show is that of a man, a dog & an egg – when the excellent stagecraft of the Puppetsoup collective goes into overdrive. 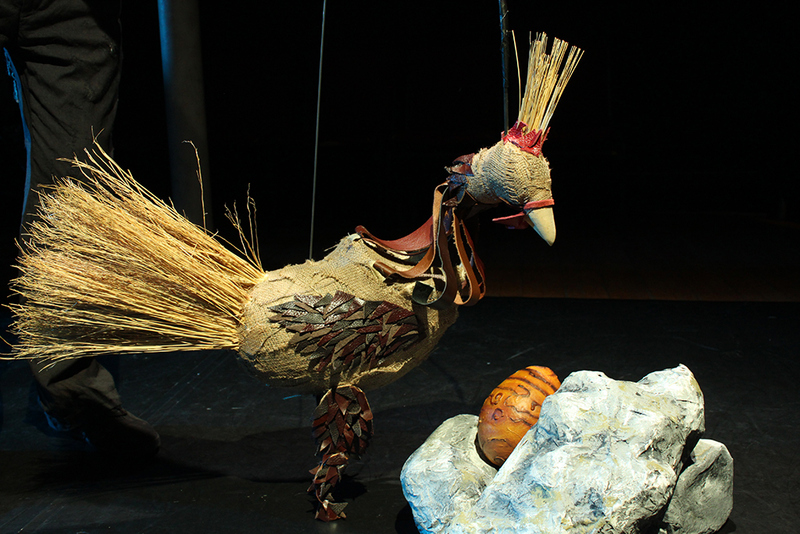 I loved to see the egg grow & the people/puppets shrink, as every trick of perspective was employed, along with lights & super-atmospheric music which helped to give the puppets genuine emotions – the perfect realism-inducing mix. Posted on August 17, 2015, in Uncategorized. Bookmark the permalink. Leave a comment.